Delicately assembled stems give this ensemble its identity. A shield to house your initials, a spray of leaves to accent your wording. Shown in three, gorgeous trending wedding- color combinations, with still many more you can try. Perfect for garden weddings as well as rustic locations. 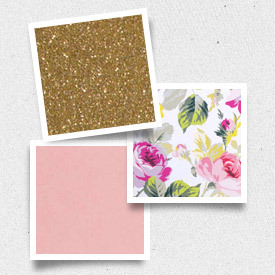 Your ink color and cardstock pairings will set the tone. 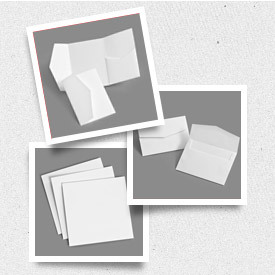 This design is sized to fit into any of our 5x7 Enclosures or our 5x7 Outer Envelopes. More items like a matching Save the Date, coordinating Envelope Liners and additional inserts are available as an added component.